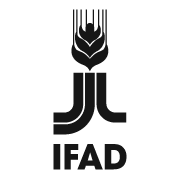 Established in 2006, IFAD’s Indigenous Peoples Assistance Facility (IPAF) is a unique facility based on the principle of Indigenous Peoples’ self-determined development within the framework of the UN Declaration on the Rights of Indigenous Peoples. It funds small projects that indigenous peoples’ communities and their organizations design themselves and that build on their culture, knowledge, natural resources, and human rights. The Facility provides small grants of US$ 20,000 to US$ 50,000 to small projects designed and implemented by Indigenous Peoples’ communities and their organizations. The 2018-2021 grant will finance the fifth cycle of IPAF. The grant will support up to 35 demand-driven projects by Indigenous Peoples’ communities through the co-management of partner organizations in Asia, Africa, Latin America and the Caribbean. The Facility invites applications from Indigenous Peoples’ communities and their organizations for grants to fund projects that build on innovative approaches and partnerships that promote Indigenous Peoples’ self-driven development and support them to fulfil their aspirations. For more information and to download all the documents, click HERE.